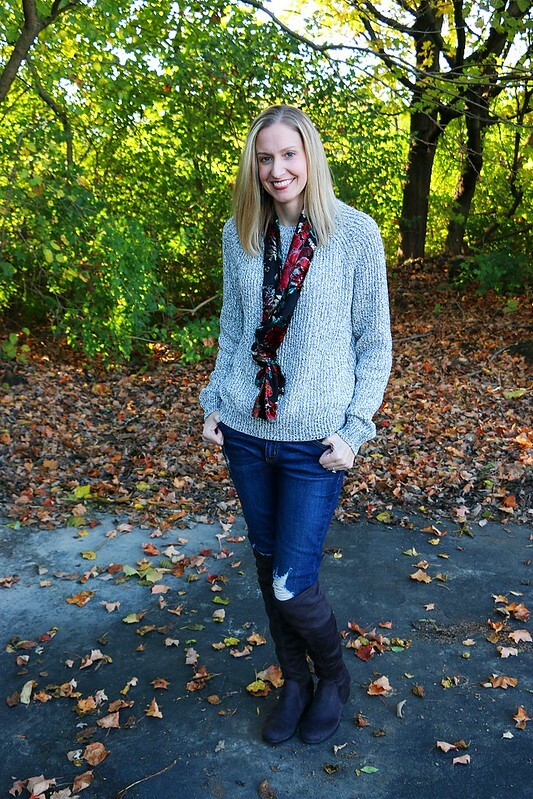 Hoosier Heartland Lifestyle: It's November! Hey everyone! How is it November already? This is a special month for both Adelyn and I because it is our birthday month. Today is actually mine and hers is later on this month. We plan to celebrate and eat cake balls all month long. (ha ha) Today, Adelyn, my mom and I are planning to go shopping and then we will go to my parents for dinner tonight. No cooking for me, so yay! 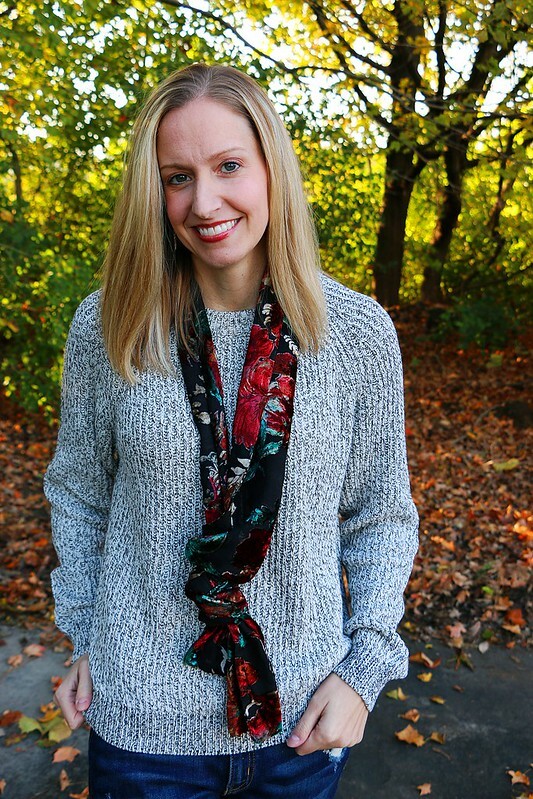 I'm loving this dolman sleeve sweater from H&M and I paired it here with this floral velvet scarf from LOFT outlet. 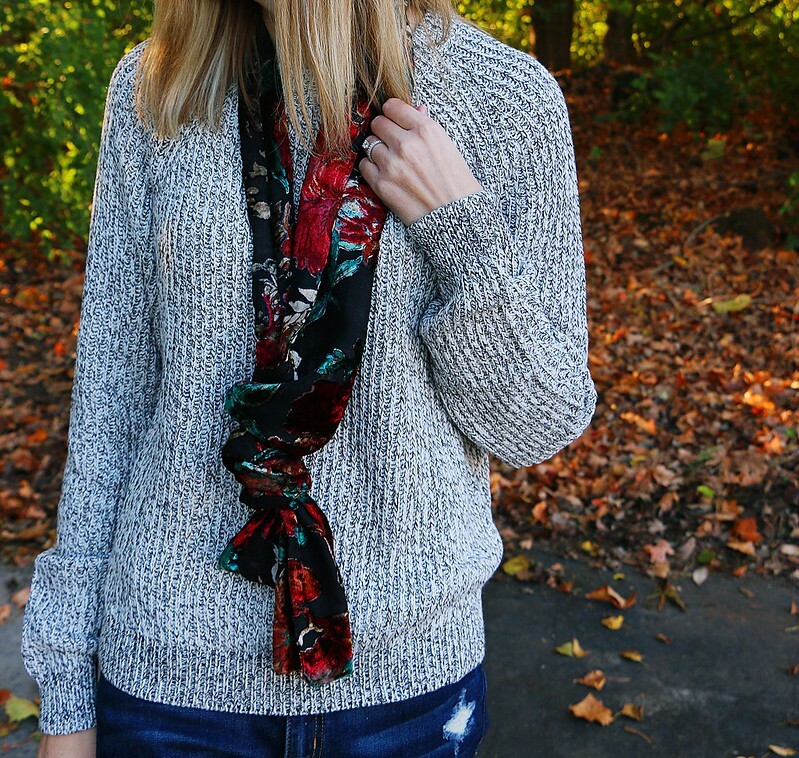 The scarf is not available online but I linked two similar ones above. 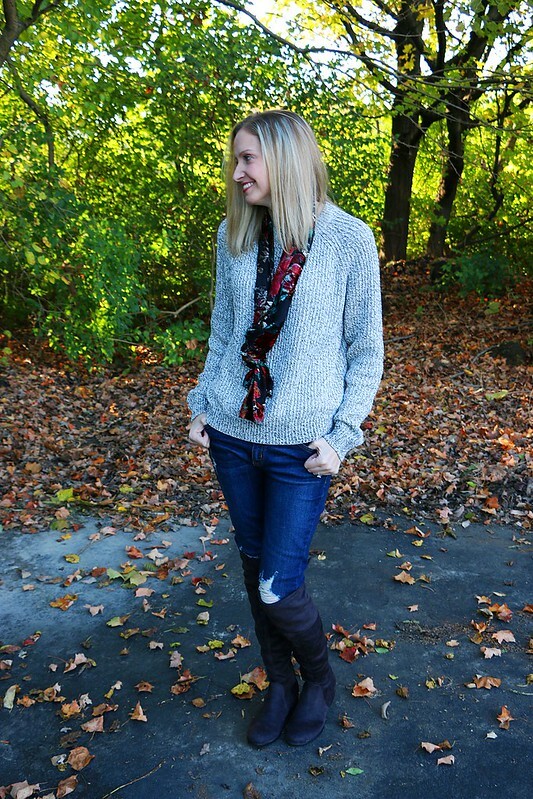 It is so cozy and I think it will be great styled for the holidays. 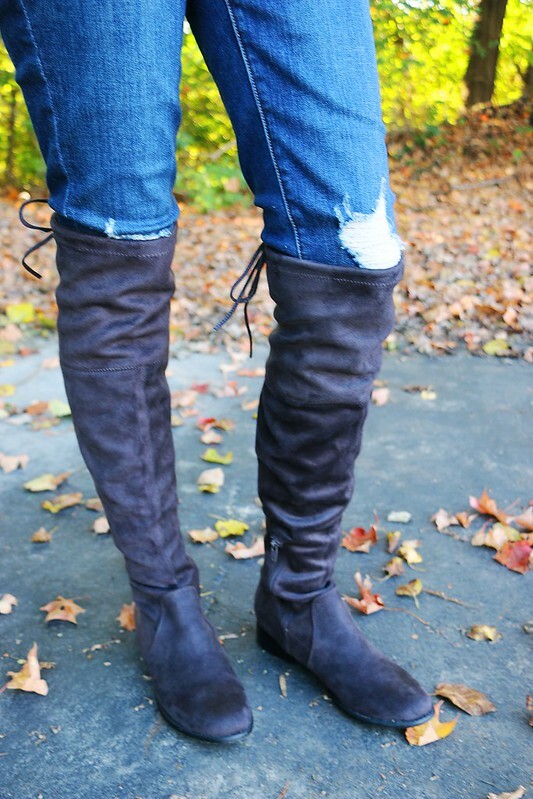 These over the knee boots are some of my current favorites. They are both comfortable and affordable. I hope you all have a great day! Thank you so much for stopping by.